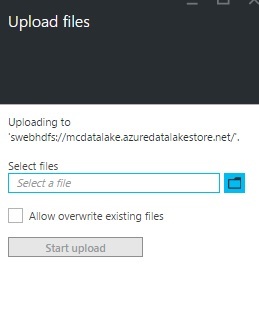 The Azure Data Lake Store is a cloud repository where you can easily store data of any size or any type. It is the Hadoop Distributed File System for the cloud and available on-demad. 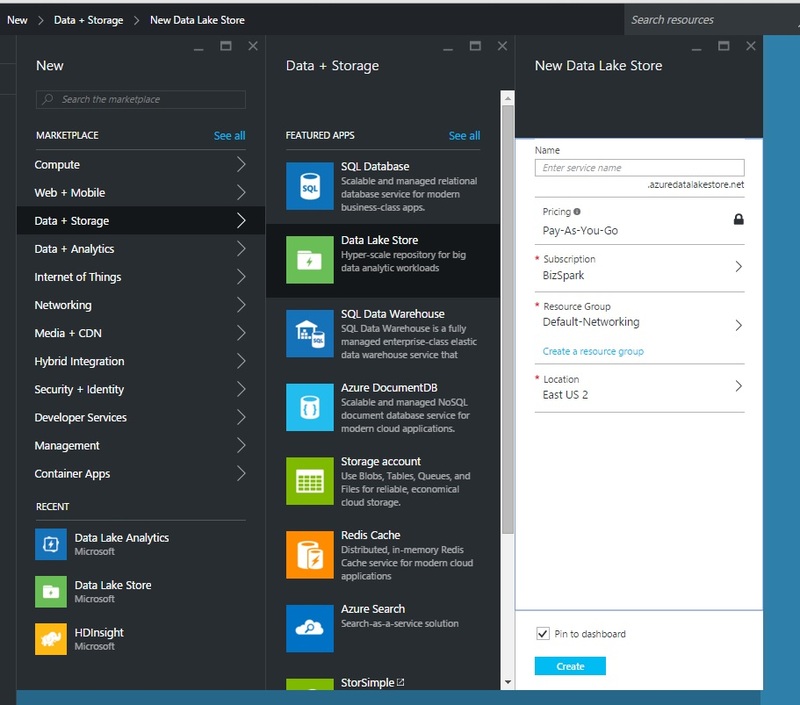 Data stored in Data Lake Store is easily accessible to Azure Data Lake Analytics and Azure HDInsight. It will be possible to integrate it with other Hadoop distributions and projects like Hortonworks , Cloudera, spark, strom and flume. Below are the steps to create Azure Data Late Store and manage it using Azure Portal and Azure CLI. Enter a name for Data Lake Store. Select a resource group or create a new resource group. 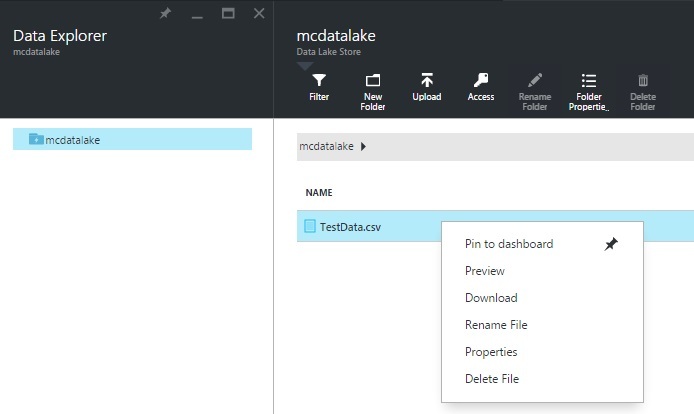 Azure Portal Data Explorer helps to visualise and manage the data files in Azure Data Lake Store. It provides operations such as upload, preview , download, rename, delete and manage accessibility of data files. To upload a data file click on upload button. On Upload files pane select the required file to be uploaded and click on start upload. Click on the file to have a preview of the data. 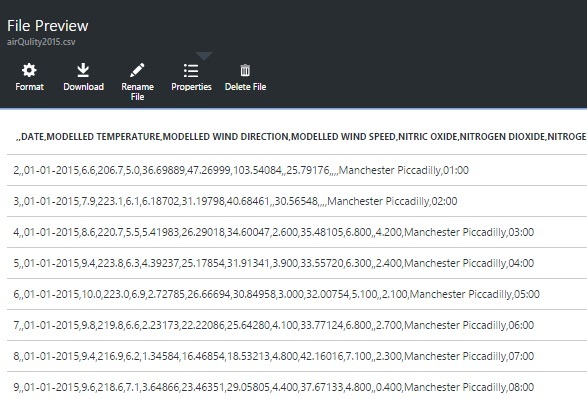 The data format and the number of rows to display can be set using format settings. To get the path and webhdfs path of the file go to properties of the file. The path can be used in HDInsight clusters. 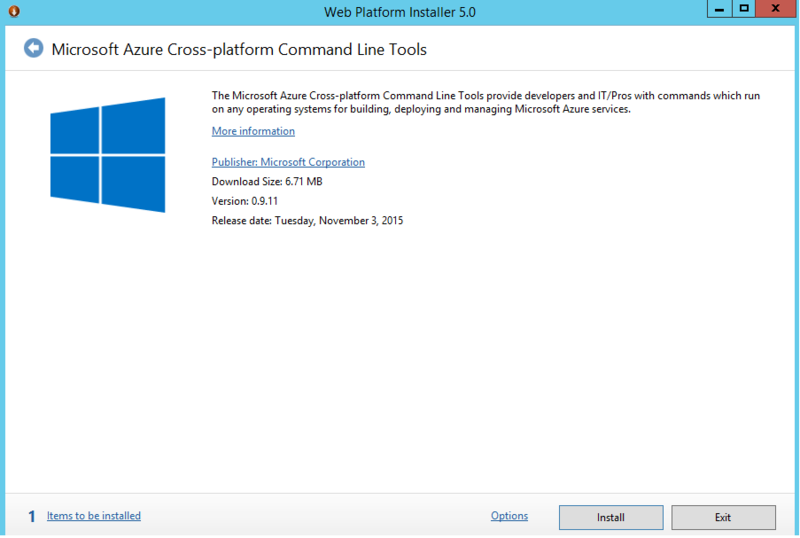 Install Microsoft Azure Cross-platform Command Line Tools. 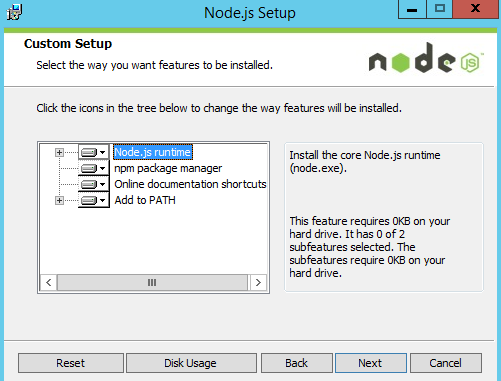 Below is the link to download the Web Platform Installer. Open a new command prompt or a Powershell and type command azure login. It will return a message with device login url and a code. Open a browser and go to https://aka.ms/devicelogin. Enter the given code in the message and login. After successful login come back to the Powershell. You need a resource group to create a new datalake store accouont. You can create a new one or use an existing one. Below is the command to create a new resource group. 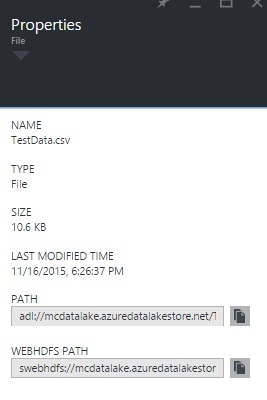 Note that Azure Data Lake Preview is only available to location East US 2.